We did it earlier this month with these crazy kids...Oh, it was not easy. We sent them off to Missouri and I felt a little bit like a mama leaving her baby. She is my sister but she is 8 years younger and I have always tried to boss her around like a mama would do. I cried a lot but I knew it was the best for her and her hubby of 7 months. I know that she will learn how to be the woman that God wants her to be and I will be so proud when I see all that he has made her. I miss her like crazy and life here is just not the same. It's not nearly as fun and definitely not as crazy. They brought crazy like nobody can and it used to drive me insane but these days I am missing crazy. I feel a deep sadness and I keep asking Jesus what it is but I am pretty sure I know. My heart is having to get used to change...again. This is just crappy... Today my God reminded me that he is always present just like I have said here many times. He is right beside me when it feels like everything is changing and life is not the way I want it to be. He is with me and he is with Rob and Rachel. He is just a whisper away when life gets a little crazy or a little sad. I hardly have words to describe the ache that will remain when they leave. They have been great friends for six years. We have grown together and become family to one another. They stood right beside us when the bottom fell out and there are not words to say how grateful we were for them. They asked questions, they said her name, they talked about her, they made us feel normal when everything around us was not at all normal. They allowed us the privilege of loving their daughter in ways that we could not love our own. The ache will be deep; very, very deep. We love you and we know that God's plan is the best plan. We hope that life after today brings joy and the change that God wants in your hearts. We love you more than words can express...Thank you from the very bottom of our hearts. Philippians 1:3 Every time I think of you, I give thanks to my God. 10. We are all trying to serve God more so we can see her again. Amen! 21. Dan shared with Tim and Heather's family about us and Miss Elle and how Jesus is helping us. They are unsaved and holding back tears hearing our story, Thank you Jesus! 22. Nicki was blessed to have a c-section and not to have to go through labor knowing the baby wouldn't make it. 32. Miss Elle's room is beautiful and a wonderful haven of rest and peace, a beautiful place to remember her. We love her so much! 33. Aunt Gib is ENGAGED! She is so very happy and beautiful, full of the joy of Jesus! 35. It looks like Elle's stone is going to be in this fall. 36. On Sunday, Sept 18th, 2011 Daddy said Mommy laughed like she used to before Elle left. Jesus is restoring the joy and healing the brokenness. I love you and I miss you! 37. Tyler told Papa that the funeral changed him; he is helping Zack and his wife more and showing the love of Jesus. You were a life-changer Miss Elle, you and Jesus! 38. Cassey seems to be changing her life for the better because of you and Jesus. 39. The boys love to see you at the cemetery, they love you just as much as they always did. 40. The GTA Support group was very nice and healing. We can't wait for the walk! 41. Daddy and I paid off our car, all from all the people who loved you so much Ellersley! 42. We went to a very nice ceremony put on by the hospital on Sunday, Oct. 9th, 2011. It was very comforting and healing! 43. We are in the middle of free counseling from Mommy's work. We are so very blessed. 44. Mommy's work is paying her for the entire time she needs off of work; that is a miracle! 45. Mommy started volunteering at the hospital on the Labor and Delivery floor. 46. Daddy has been praising Jesus every Sunday with his beautiful voice and guitar. He is leading us into Jesus. 47. The walk is this Saturday, we have about 40 people committed to being there. All for you, Ellersley, all for you! We love you sweet baby girl! 48. Nick was in church on Sunday, Oct. 9th, 2011. 49. 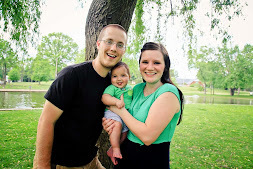 Mommy started a blog to talk about you, Ellersley, and Jesus. 50. We walked for you yesterday! We had about 35 people or so all for you...actually over 40 people! 51. Daddy was able to talk to Janice at work about Jesus. He is able to relate to her because her husband passed away recently due to cancer. 52. Daddy's relationship with Jesus is growing and expanding! He is learning new things and growing closer to him every day. 53. 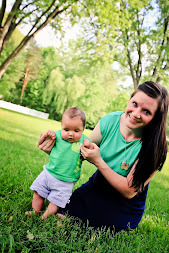 The little boy who is buried next to Elle, Owen; his Mommy contacted me on our blog. 54. 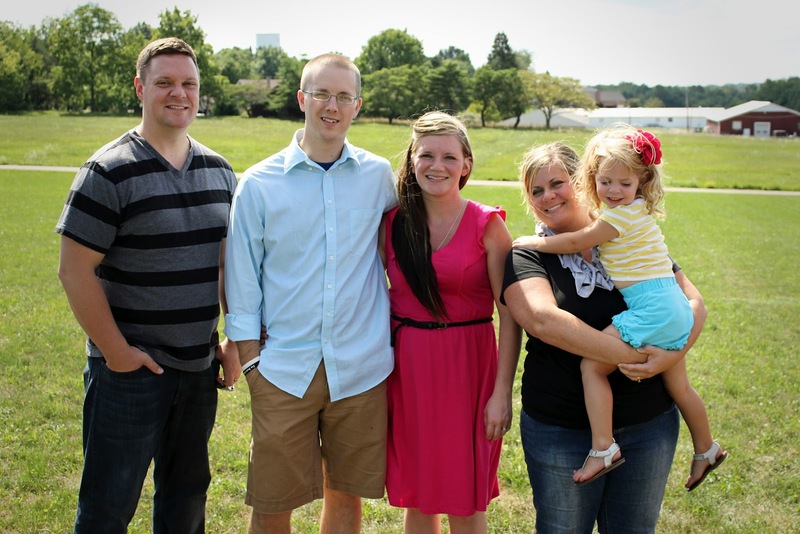 PLM video of our testimony came out on Oct. 28th, 2011 - your original due date! 55. Steve at PLM told Daddy and I that he is at PLM because of our podcast. 56. Women prayed over me at PLM and men prayed for Daddy...it brought peace and healing. 57. Daddy is better able to relate and talk to John at his work and is slowly sharing the love of God. 58. Mommy's work has been so accommodating. I am able to have off until after Thanksgiving and then go back part time until after Aunt Gib's wedding. Jesus worked it all out, he is so good! 59. Daddy feels more comfortable leading worship since our visit to PLM. 60. Your stone was put in on November 22nd, 2011. It is perfect for you and looks so beautiful. Love you sweet girl! 61. Daddy says he has less room to complain and he is thankful for the things he does have! 62. We shared our story of you with another family that lost their baby at the hospital. 63. 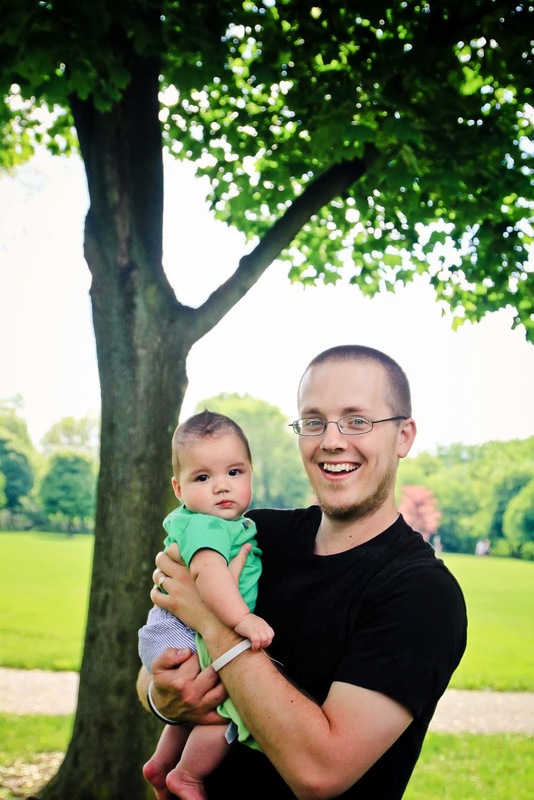 Matt said the blog has helped him to better understand the feelings of loss his wife had during a miscarriage. 64. Daddy got a raise at work! One whole dollar! 65. Today Daddy and I were invited to do an interview with the local newspaper, they want to hear our story about you! We are honored! 66. Wayne had something to tell me from Jesus - I will have a baby and that baby will be so blessed; we are to raise the baby in church and the baby will do GREAT, GREAT things for God! We are in awe of our God! How incredible is that?!?! Thank you Lord! 67. Heather said God told her that Grandma and Grandpa's womb would be healed and so full; 10 fold! Woah! 68. Lots of people reading the blog and saying that it really speaks to them...God is truly amazing! 69. Daddy wrote a song and he is going to play it and sing it for worship tomorrow, January 29th, 2012. 70. Aunt Gib and Uncle Rob got married! It was a great day; full of joy! We had roses for you and our other loved ones...we miss you so much! 71. I shared our story of you and our hope in Jesus on Faces of Loss and it has brought lots of people to the blog which is full of Jesus! 72. Lindsaye messaged me on Facebook (Oct 2011) and told me that every night she loves her babies more and gives thanks for them because of you and our story. Amazing! 73. Jeanne, Laurie and Lisa had a beautiful blanket made for us! It has your picture on it and it's made of all of your special outfits. It is gorgeous! 74. Tamiz Photography took beautiful pictures of Daddy and I with some of your things. They are a perfect reminder of our love for you! We love you so much! 75. I got a bonus at work and we paid off our credit card! One step closer to my quit date! 76. My volunteering with the hospital ended in March 2012; God used it and I was no longer needed. Sad, but happy. 77. 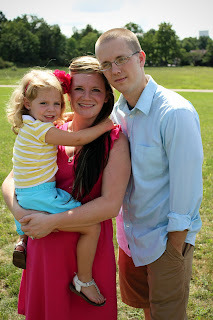 Daddy and I found out on Friday, March 23rd, 2012 that we now have another sweet baby forever. Baby #2 is incubating as we speak! 78. I am quitting my job after 9.5 long years! June 15th, 2012 will be my last day! 79. The blog has had over 10,000 page views since beginning in October. Amazing and all God! 80. You now have a new buddy up there; baby #2 flew to Jesus March 29th, 2012. 81. Mommy emailed Jenny Smith, the author of Life is A Gift and she wrote back. She reads our blog and loves it and loves your name! 82. People tell us almost every week how inspiring we are. We are only strong because of Jesus and because of you, little lady! We love you so much! 83. I got an email from Andrea in Wisconsin, her Pastor read our story to his congregation! 84. Daddy keeps writing beautiful songs about Jesus and our journey. We can't wait to see all He has planned for us! 85. I am two weeks out from the end of my Nationwide career! I know I have already put it in here but I AM HAPPY!!!! 86. Daddy and I vacationed with Deem folks and we had so much fun! Laughed our heads off and enjoyed Disney! 87. Cyndie reads the blog and her life has been impacted because of you! 88. Mother's Day was a wonderful day full of loving you! Daddy and I spent it on the beach, we put a message in a bottle for you beautiful baby! 89. Daddy had a wonderful Father's day! 90. I quit Nationwide Insurance on June 15th, 2012 after 9.5 years! It feels GOOOOOOOOOOD! 91. Kathy and Jaime are making a letterbox out of your story. People will hear your beautiful story for years to come! Our dream come true! 92. Daddy and I are seriously considering adoption. 93. Daddy recorded Love Always Leaves A Mark with Bill, it is beautiful and will be so awesome on the blog! 94. Daddy says you have given us a longing for heaven! 95. August 12th we celebrated you with family and friends! It was a gorgeous day full of Joy and Peace! 96. A little tiny butterfly landed right on me as we were taking pictures at your celebration! 97. Daddy and I have started the paperwork for our family's first adoption! 98. We received beautiful gifts from Grammy and Papa and Uncle Rob and Aunt Gib for your first birthday in heaven. 99. There was a beautiful meteor shower to ring in your birthday! It was gorgeous and reminded us all of just how close you and Jesus really are. 100. You are running and playing and smiling away in heaven! You are with Jesus! We love you our sweet Ellersley Grace! We will remember your sweetness today and always! Thank you for coming and being a partner with Jesus to bring about all of this good! You are our special little lady and one day we will scoop you up again and the hugs and muahs will never end! We love you to the moon and back big girl! Today our families and very close friends will celebrate the life of a beautiful, precious baby girl. Ellersley Grace Deem was born one year ago tomorrow, August 13th, 2011 at 11:31 pm. She was 2 lbs 9 oz of gorgeous and perfect skin. She was 15 inches of Wesley and I. She had a perfect little nose and long, funky feet just like Daddy's. She was and still is our joy. We were so proud to be her Mommy and Daddy and after a year, we still are. She and Jesus have given us many things...patience, strength, faith, trust, hope, and joy unspeakable. This year has not been easy, by any means, but it has been worth it. God has shown up...he has been faithful and he has changed our hearts in the places that they needed to be changed. We have not walked this journey without him, not one step. He has allowed so many people to bless us this year because of our sweet Elle. People we never would have met and people that never would have been changed if Ellersley's story was never written. We are so thankful that he allowed us the privilege of witnessing his great power and glory through our daughter's life. She was our miracle and she helped produce miracles in a lot of other people. Like I said we have been blessed by so many people this year and there is one family in particular that I want to acknowledge here. They are a family that has been in our church almost as long as we have; about 20 years. They have always been sweet and kind but this year we got to see it in action. They sent cards, way after August 13th. They sent money when they didn't need to. They gave us a doll that they feel God had been saving just for Ellersley for over 15 years. They asked questions. They recognized the hard days and told us they were praying and thinking of us. When Elle's day was approaching and they said they wanted to come over and show us something, we knew it was going to be special. This family does something called Letterboxing. I had never heard of it in all my life but they explained it well. It is basically like a treasure hunt but it is done by millions around the world. These letterboxes are hidden in certain places around the world and online you can find clues to where exactly each box is. It is designated by state, city and location; for instance a cemetery or a park. The "prize" in the letterbox is a stamp that you put into a book that you keep, it reminded me of a passport booklet. You get the clues online then you go follow the clues and by the end if you are a master treasure hunter you find the stamp and stamp your book; getting the satisfaction of completing the hunt. This sweet family does this together and I thought what a cool idea of something to do as a family. Well, this family thought since we love Ellersley so much and they love her so much and always want her to be remembered, they decided to make a letterbox in her cemetery just for her. The stamp is a Honu, which fits just perfectly for her, our little baby Honu. The clues are written into a story that their daughter wrote. She is a master storyteller and has won many awards for her stories. We were honored to have her write a beautiful story about our Jesus and our Ellersley and I would love to share it here with you. As you enter through the Kingdom's gates be sure to greet the soldiers on the left guarding the path. The two stand at attention just in front of the guardhouse. Now turn right on to the path across from the steadfast soldiers, and as you journey through the Kingdom, listen to this tale of baby Ellersley, a real life princess. Once upon a time, on a land similar to the grassy knolls you pass, there lived a peasant couple who longed for a sweet baby. They were full of joy upon learning they were going to have a beautiful baby. Before they found out the baby's gender, they nicknamed the baby "Honu" which is Hawaiian for turtle. But soon they found out their baby was a girl! And so they decided to call her Ellersley. Turn left at the end to continue on around the Kingdom, and turn left again at the end of that road. I will continue my tale as you ride up in your "carriage" to the castle covered in vines and wait there. The family was full of joy because of their baby. But just after baby Ellersley was born, disaster struck. An evil wizard named Death stole away their baby girl and took her to his dark castle under a sleeping spell. The whole Kingdom was heartbroken at the couple's loss. The King sent out a decree to the entire kingdom, looking for a brave Knight to rescue the baby. Only one came. He was the Son of the King, the heir to the throne. He decided to go, though the journey would be dangerous. He left the Kingdom and trekked to the dark castle. Here we will follow the brave Knight's journey as he searches for Ellersley and all the other children who had been taken. He went from the castle and walked to a large tree placed at the T intersection of two paths. He then went west to where he saw the Bishop of the castle standing. The Bishop was left frozen in place, under an enchanted spell of sleep. He looked across the path from the Bishop and saw a row of hearts protruding from the ground. He went over, and as he walked the sleep spells were broken and all the children woke up. For this brave Knight had magic in his blood from being the Son of the King. But still, he searched for Ellersley Grace Deem. And then he found her, sleeping with a little lamb. As he found her tiny body wrapped up in sleep, he broke her enchantment. She was alive and beautiful. But then the Wizard Death came. The brave Knight fought - and won with his life. He promised to give up his life in the Kingdom to keep the children and others away from the sleep enchantment. So Wizard Death was defeated, but the brave Knight stayed with those who had slept- including sweet Ellersley - until the day would come for him to become King forever. On that day, he would return to the Kingdom and bring all those who had been taken by Wizard Death with him, home. And Ellersley would see her parents again. It was not the end of the story. This is the fairytale version of Ellersley Grace Deem's short life. She was born on August 13th, 2011 and died shortly after. But her life brought JOY to not only her parents but to her family and their friends. We will never forget her short, sweet life and the impact it had on us all. Because through the pain we've chosen to see God's will and joy. We know she is safely wrapped in Jesus's arms, awaiting the day she can see her mommy and daddy again. Look left for three bushes across the path. Search in the center bush to find a remembrance of Ellersley. Please check out Jaime's blog here...she writes amazing reviews for all kinds of books! Thank you today Jesus for life and good friends. Thank you for people who have such kind hearts. We have been blessed by so many. Be with us today Jesus as we remember that beautiful baby you gave us. Allow us to feel her close today, we know you will be near and she is never too far behind. Thank you for peace and joy in the midst of great tragedy. Thank you for saving our Princess and us from a life spent without you. We are so grateful for you and our salvation in you. We love you and we can't wait to celebrate forever with Ellersley and with you. All praise to God, the Father of our Lord Jesus Christ. It is by his great mercy that we have been born again, because God raised Jesus Christ from the dead. Now we live with great expectation, and we have a priceless inheritance—an inheritance that is kept in heaven for you, pure and undefiled, beyond the reach of change and decay. And through your faith, God is protecting you by his power until you receive this salvation, which is ready to be revealed on the last day for all to see. So be truly glad. There is wonderful joy ahead, even though you have to endure many trials for a little while. These trials will show that your faith is genuine. It is being tested as fire tests and purifies gold—though your faith is far more precious than mere gold. So when your faith remains strong through many trials, it will bring you much praise and glory and honor on the day when Jesus Christ is revealed to the whole world. You love him even though you have never seen him. Though you do not see him now, you trust him; and you rejoice with a glorious, inexpressible joy. The reward for trusting him will be the salvation of your souls. So, we sang this song at church on Sunday. I was actually sitting in worship practice just listening and these words came out of Wesley's mouth. Here in Your Presence, Heaven and Earth become one. I let that sink in. Heaven and Earth become one, in His Presence. People have asked us what reminds us of Ellersley and when we feel her near the most. There are physical things that remind us of that sweet baby girl; things like turtles and pretty butterflies and a gorgeous summer sky and the big beautiful moon. But, there is one thing that is a for-sure connection to our sweet girl. There is one place that we can run to and always feel her sweet spirit close to our hearts. That place, that thing is Jesus; in His Presence. Here in Your Presence, we are undone. Here in Your Presence, Heaven and Earth become one. Here in Your Presence, all things are new. Here in Your Presence, everything bows before you. We know that if there is ever a time that we feel like we miss her too much and the ache is becoming unbearable, we have a place that we can go. We take a few steps into her room and sit in that chair and rest in the peace of Jesus. We read and write and pray and tell Jesus all about the ache that she left in our hearts. His peace and his strength resides in that room. He is all over it. He whispers to us there and lets us know that he is holding her and they are waiting ever-so-patiently for us to get there. His presence is all over that room and that is my secret place but His presence is everywhere. He is felt in the warm breeze, whispering his love to me; He is felt in our sanctuary where my husband leads us into worship each Sunday and my Father-in-law pours out his heart. He is felt in the big hugs from a gorgeous little girl and sweet smiles from our nephews. He is felt on a walk through the park; looking up at the bright blue sky. He is felt everywhere and to us, that means she is felt everywhere. She is with Him! When He is near, she is near and our aching gets soothed for just a little while.